Surety and Banking – More in Common Than One Would Think | KPS Surety Bond Insurance Services, Inc.
Credit helps in production, distribution, selling, consumption and expansion. It helps smooth the rough curve of seasonality of a business. It increases the bonding and buying power of a contractor. But, where there is good, there may also be bad and ugly. Credit could mean a collapse due to Overbuying, Overexpansion or Overselling. Even though Surety is an insurance product, it more closely resembles banking than insurance since the applicant needs to qualify for credit. In basic terms, insurance is risk protection, whereas Surety (Bonding) is asset exposure (again, more like banking). Every time a company posts a surety bond it exposes its balance sheet to the risks of its business. Insurance is a two party agreement where an insurer guarantees that it will satisfy all claims as agreed upon in the policy. Conversely, Surety requires a company to provide a guaranty in the form of an indemnity agreement that binds the principal to pay back the bonding company on any claim under which it disburses to the obligee or owner. 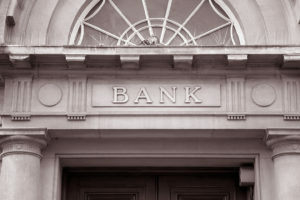 A Bank requires the principals to sign a personal guaranty to reimburse the bank in the event there is a failure to pay. Just like a bank can terminate a borrower’s line of credit for not meeting required covenants, a Surety can stop writing bonds for a client at any time since the underwriting is a continuous and ongoing process. Surety, therefore, is a mechanism of credit where the bonding company is providing comfort to the obligee that the principal is good for the risk. Credit risk analysis (finance risk analysis, loan default risk analysis) and credit risk management are important to surety and financial institutions which provide credit to businesses. Credit can occur for various reasons: bank mortgages, motor vehicle financing, equipment purchases, and performance and payment bonds. Credit has a risk of being defaulted. Therefore, to understand risk levels of the applicant, credit providers normally collect vast amounts of information on applicants. Statistical predictive analytical techniques can be used to evaluate or to determine risk levels involved in credits (surety bonds and loans). If the past is a guide for predicting future events, predictive modeling is an excellent technique for credit risk management. Predictive models are developed from historical records of credit containing financial, demographic, geographic information, etc. From past credit information, predictive models determine patterns of different credit default ratios and can be used to predict risk levels of future credit. It is important to note that statistical process requires a substantially large number of past historical records containing useful information. Useful information is something that can be a factor that differentially affects credit default ratios. Credit analysis is used to determine the creditworthiness of a business or organization. The reviewed or compiled financial statements of a company will be analyzed when requesting performance and payment bonds, as well as, short and/or long term financing. Credit analysis involves a wide variety of financial analysis techniques, including ratio and trend analysis, as well as, the creation of projections and a detailed analysis of cash flows. Credit analysis also includes an examination of collateral and other sources of repayment, as well as, credit history and management ability. Analysts attempt to predict the likelihood that a borrower will default on its obligations, and also the severity of losses in the event of default. Credit spreads the difference in premium (or interest rate when discussing banks) between theoretically low risk and high risk. Financial Underwriters are faced with a vast array of financial statements and information, procedural guidelines and a credit file full of history, so when it comes to making a decision they are balancing the upside opportunity with the downside risk. The first part of answering the credit question is to focus on what information is provided by the financial statements and how this information is used in qualifying for credit. These basic ratios (indicators) expose the current financial strength of a company and are utilized when analyzing a company for credit whether it’s by a Bank or Surety. These basic ratios, that we all are familiar with, have a great correlation with the strength of a contractor and how much credit is available to it. We are not going to drill into these in detail as that information will be addressed in future articles. As you read through the following ratios, remember that while these are important, the analyst may consider other factors. Liquidity Ratios are Balance Sheet driven and, therefore, measure the liquidity of the company on a particular day i.e. the day that the Balance Sheet was prepared. These ratios are important in measuring the ability of a company to meet both its short term and long term obligations. Cash is the single most important asset to keep a contractor operational. Demonstrate how successful a company is in terms of generating returns or profits on the Investment that it has made in the business. If a business is Liquid and Efficient it should also be Profitable. Equity is a measure of the long-term liquidity of a company. It is against this equity that a company leverages both its short-term and long-term borrowing/debt. WIP reports are used by bonding companies and banks as a benchmark of a contractor’s competency in estimating and managing projects to completion, at a projected profit margin. Don’t think of it as just a report; think of it as all the processes that have to work correctly within the company to create an accurate and timely WIP schedule. Unless a WIP schedule is prepared monthly or quarterly, the contractor will not know what its true profitability is; which may result in an inability to prepare accurate in-house interim income statement (which in turn leads to inaccurate balance sheet statements). Ongoing projects have a significant effect on the bottom line; to ignore their impact on interim reports would present a distorted picture of the results of operations of a contractor. Critical information is in the WIP schedule and is very useful when qualifying for credit. When an underwriter makes the statement “We need to see the WIP working properly” they mean the accounting pieces including job costs, the report itself, and tying together with the balance sheet and P&L statement. No one single indicator can be used to successfully underwrite a company, viewing all these ratios and factors together provides a total picture of what is occurring within the organization. It is important that the results are compared with other companies in the same industry and not taken in isolation. What may seem like a poor ratio at first glance may well be normal for that industry and, of course, the reverse applies. Together these indicators enable credit risk analysts to understand the pulse of each business they extend credit to. The prequalification process for surety bonding is more rigorous than ever. Retaining construction finance-oriented accountants, bankers and agents can help companies obtain the desired bonding and banking credit. CPAs can provide insights into the industry and the required accrual-based percentage of completion financial statements. They know the key players and can educate contractors on the pitfalls of profit fade, overbillings and underbillings. Bankers and agents with professional knowledge can analyze intelligently the firm’s risk, conveying that to underwriters, therefore, maximizing the amount of qualified credit. In conclusion, every Surety and Bank will tell you that approving credit/bonding depends on the quality of your financial statements and how well your company compares to other similar businesses; therefore, they look primarily at your financial operating results. The more your Bankers, Brokers and CPA’s can understand your financial statements and have an understanding on how credit functions, the larger your borrowing/bonding ability becomes. RMA provides statement studies of more than 360 industries and can tell you what your underwriter expects to see on your financial statement or plan. RMA’s Annual Statement Studies is available at your local library or bank or surety – asking the banker/Agent to make a copy of the appropriate page is a great way to show them that you know what you’re talking about. Meeting key ratios from the RMA should be your goal as you qualify for, and keep, credit.